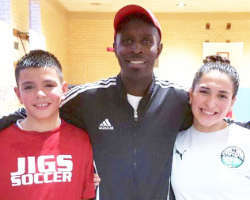 Jigs Soccer features five different branches of youth soccer training on Long Island, New York. 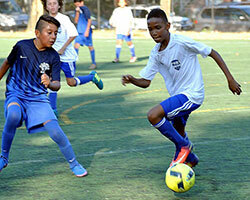 We offer soccer clubs across the New York region with a comprehensive soccer club training spanning all age groups. 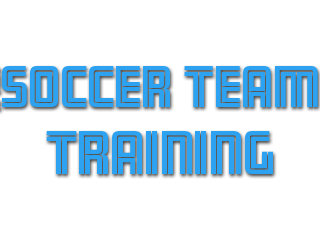 We provide soccer team training with dedicated and knowledgeable soccer trainers who can elevate each player, and the team, to new heights. 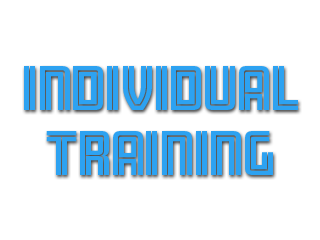 We offer private soccer training to players who want to work on their individual skills or achieve specific goals. 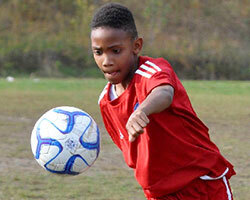 Jigs Soccer also conducts soccer clinics targeting specific individual and positional skill sets. 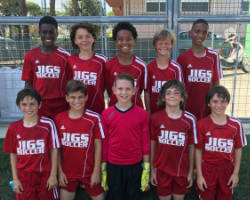 Finally, Jigs provides supplemental training for individuals and teams who want to continue to develop into the best players during the Winter and Summer off-seasons in addition to their club playing experience. 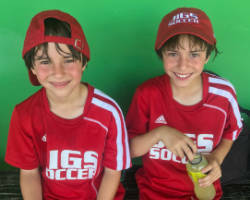 Jigs Soccer is proud to offer Summer and Winter Select Soccer Programs. 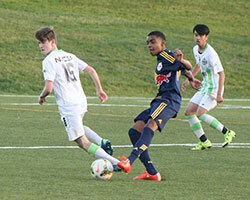 These supplemental programs provide training and development in addition to a player’s team and club experience. 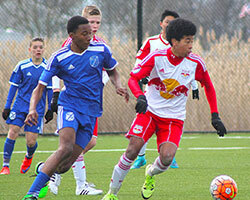 The Summer Select program consists of weekly training sessions and a game on the weekends in the competitive Super Y League. 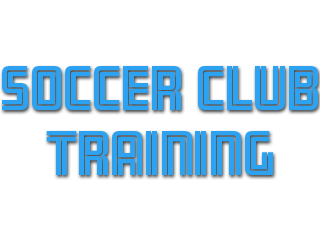 The Winter Select combines Speed & Agility Training, indoor weekly soccer training, and participation in a Futsal League with games on the weekends. Neither the Summer or Winter Select Programs are utilized for recruiting players away from their current teams/clubs. These are supplemental programs for dedicated players and teams looking to improve their soccer during the offseason. 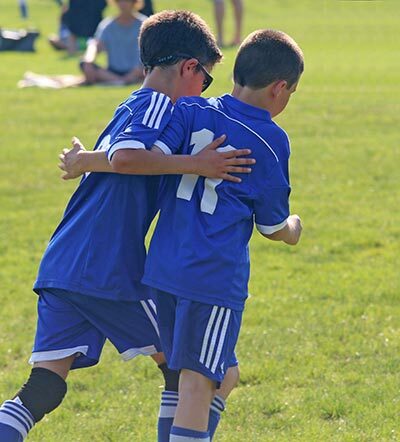 Do you want to see immediate improvement in your son or daughter’s playing? 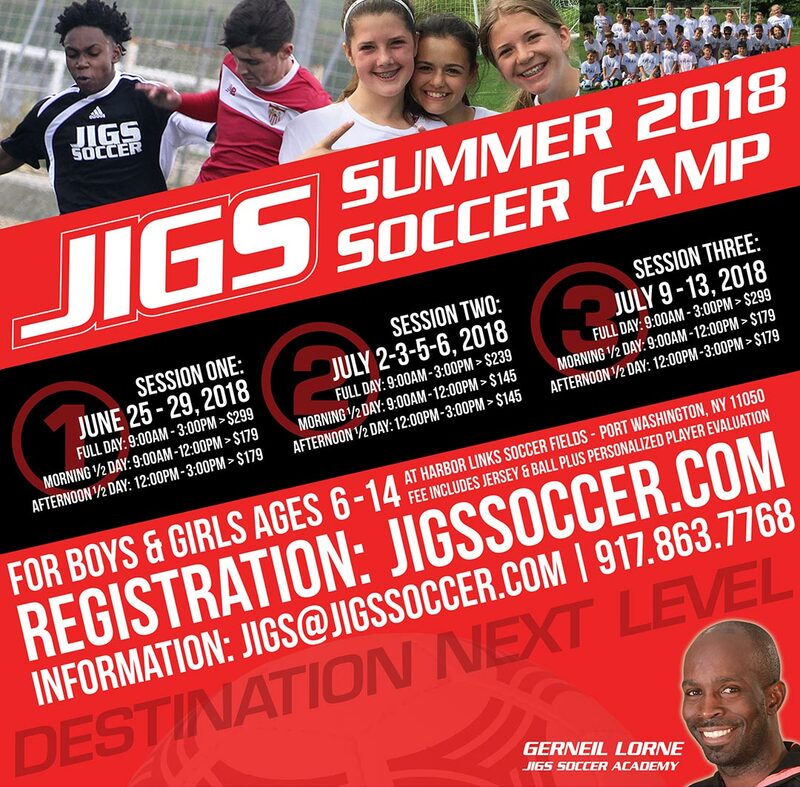 Enroll them in one of the JIGS Soccer Summer Camps in 2018. Whether you opt for the half-day session or the full-day, your child will improve immensely. 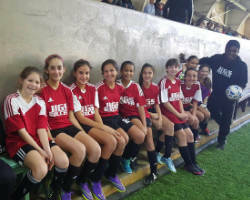 Each fun-filled day provides the equivalent of two weeks of typical team training during the season under the guidance of JIGS certified soccer trainers. The result? Your child will improve. Implementing an array of technical, tactical, mental and fitness training, your child will have the opportunity to develop a deeper comprehension of the game, address weaknesses and enhance their strengths. The camps also have fun surprises for the players, including contests, professional player appearances and group activities. Serving Nassau and Suffolk counties, including Port Washington, Great Neck, East Meadow, Elmont, Floral Park, Franklin Square, Freeport, Garden City, Mineola, New Hyde Park, Valley Stream, Woodmere, Rockville Centre, Roosevelt, Uniondale, Floral Park, Glenwood, Kings Point, Westbury, Roslyn, Williston Park, Bayville, Bethpage, Brookville, Farmingdale, Glen Head, Hicksville, Jericho, Locust Valley, Massapequa, Mill Neck, Oyster Bay, Plainview, Syosset, Woodbury, Amityville, Babylon, Copiague, Deer Park, Lindenhurst, Cold Spring Harbor, Commack, Northport, Huntington, Melville, and many more fine Long Island New York towns.